Publish an annual membership hay directory booklet for market promotion. 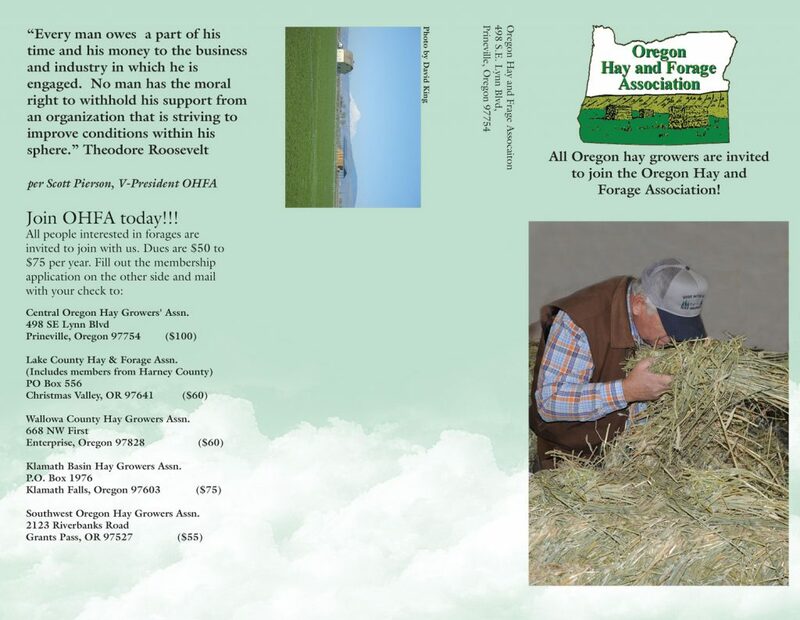 Sponsor the annual Oregon Hay & Forage Hay King Contest. 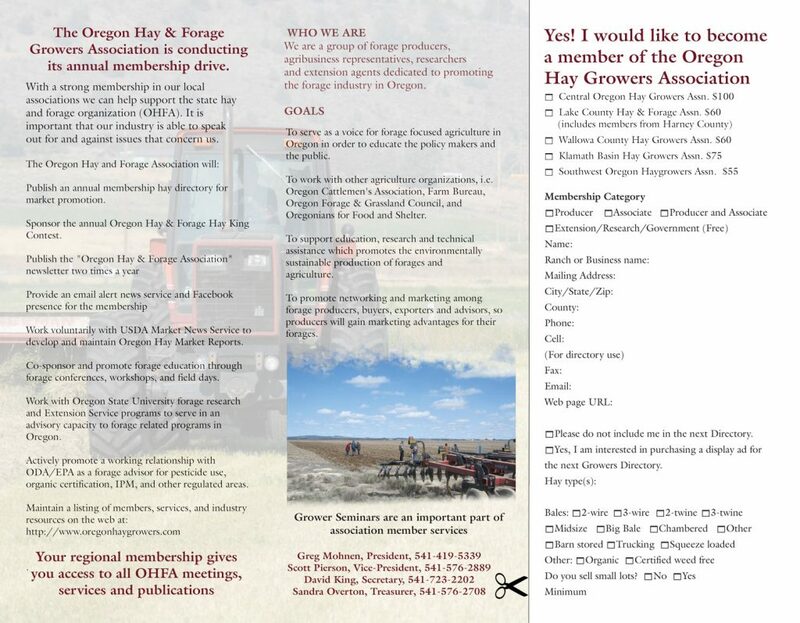 Publish the “Oregon Hay & Forage Association” newsletter. Work voluntarily with USDA Market News Service to develop and maintain Oregon Hay Market Reports. Co-sponsor and promote forage education through forage conferences, workshops, and field days. Work with Oregon State University forage research and extension programs to serve in an advisory capacity to forage related programs in Oregon. Actively promote a working relationship with ODA/EPA as a forage advisor for pesticide use, organic certification, IPM, and other regulated areas. We love new members…….contact your regional organization and join today!